template sets. There are two templates for each state or territory. One template has one photo holder and the other has multiple photo holders. 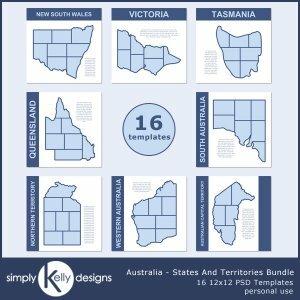 Look for more states and territories in my Australia template series.